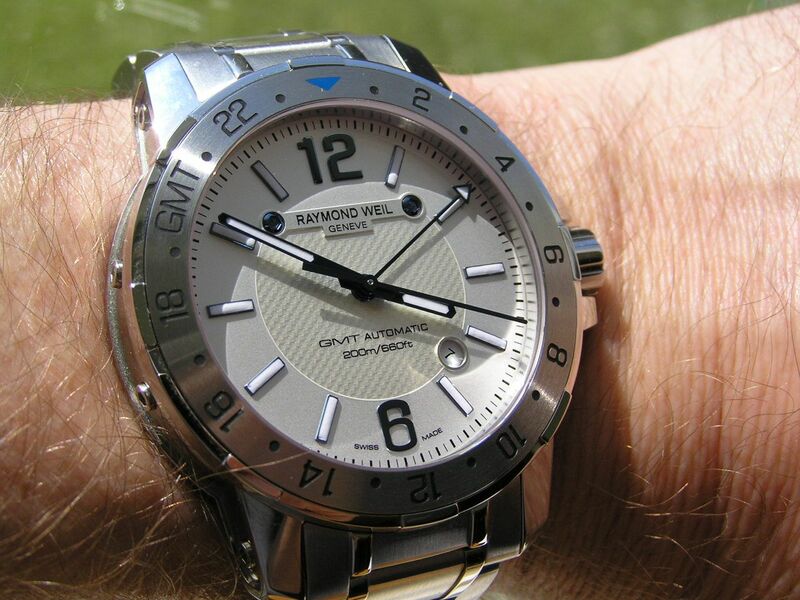 I was talking with a WIS friend of mine the other day and I was showing him my new Raymond Weil GMT. He’s the one that turned me onto this brand last year and since then, I’ve been wanting to purchase my first Raymond Weil (‘RW’ for short). 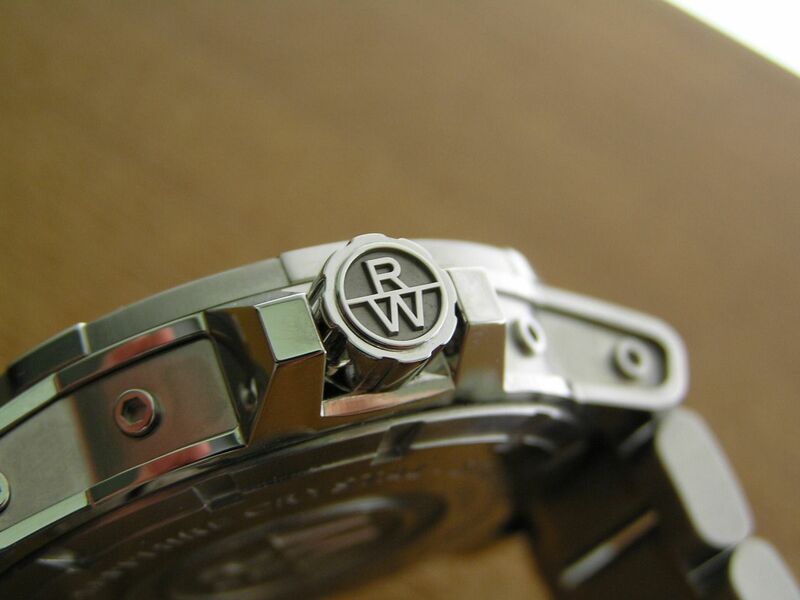 We talked about how RW seems to be a well-known fashion brand in the non-watch collector world but is not necessarily highly regarded among watch enthusiasts. 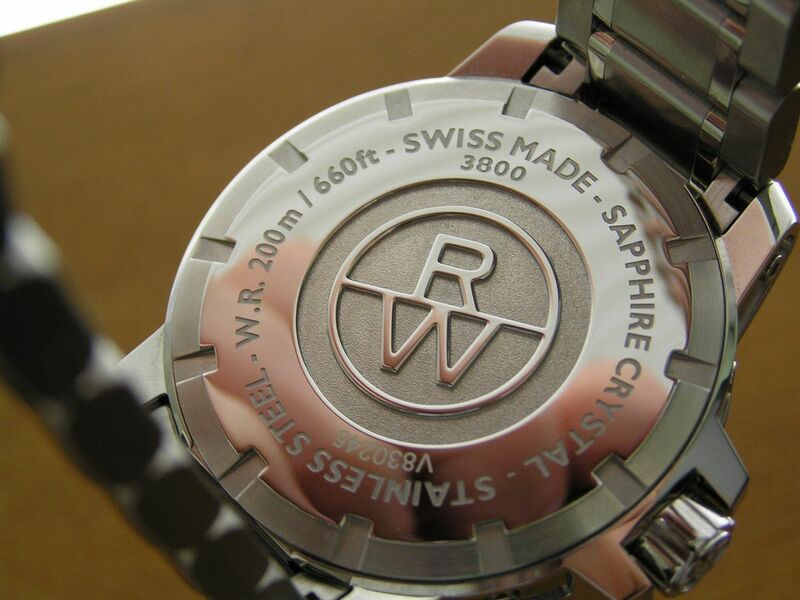 But whether this is the case or not, RW produces some very nice pieces and is the only fully independent Swiss watch company in existence, according to their promotional materials. They can march to the beat of a different drum and go their own way without any corporate overlords to tell them what to do. Good for them! A bit of additional backstory first. Late last year, I decided to purchase a quartz RW sport model to give the brand a try. I purchased from Amazon at a price somewhere north of $500, violating my ‘I won't spend more than $200 for a quartz watch’ dictum. That watch was a disappointment, as it had a mis-aligned hour hand (off by 15 minutes) and a sticking quickset date mechanism. Whether this was a dud from the factory, a return that Amazon resent out or something else, I will never know, but it went back the next day. I will say Amazon was great with their return policy and even picked up my return shipping cost, so I couldn’t complain. So after this experience, I was a little gun-shy about getting another RW and bided my time. What impressed me immediately about this watch was the overall feeling of quality: Heft, fine finishing, details galore, great fit, accuracy, looks. It is a beautiful piece. 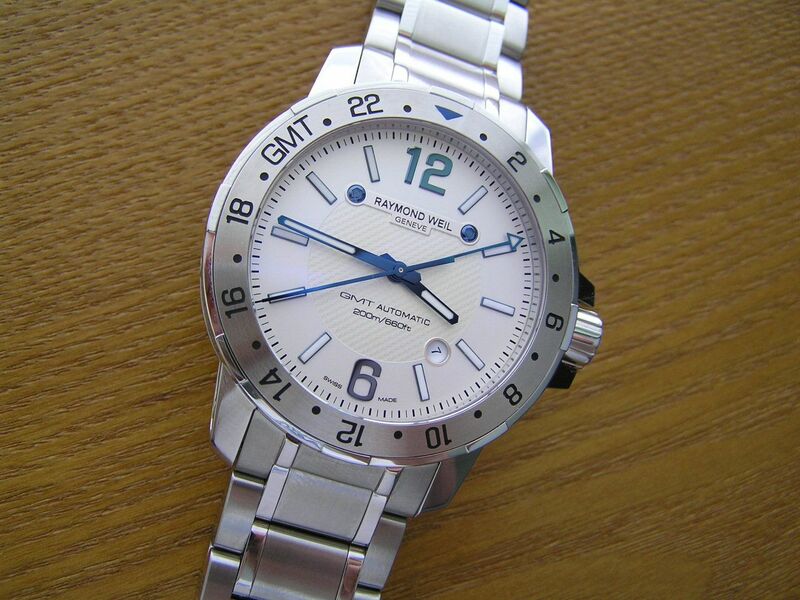 The Nabucco GMT comes in several different dial colors and bracelets with black inserts or all stainless steel. Some of the other color combos didn’t do too much for me, but this model, with its light silver (not white, as some may think) dial and blue hands looked very classy. It looks amazing in person and hopefully the pictures will help you revel in its beauty as I do every time I wear it. The Nabucco is a large piece, measuring 44.3mm without the signed screwdown crown; 48.8mm crown inclusive. The crown has deep engraving on it and is suitably sized (7.1mm on its own) and screws down smoothly and with sufficient turns. 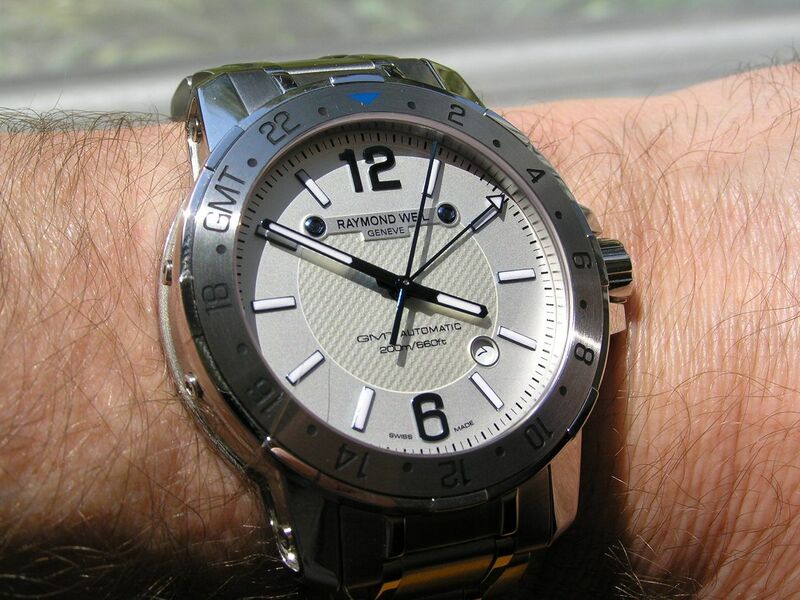 This is a long watch, about 53.2mm lug tip to lug tip and the lugs don’t turn down very much, but I am pleased to report that it fits pretty well on my thinner wrist. Lug spacing is 22mm, case thickness is 12.6mm. The case is polished and brushed with inset detailing on the case sides displaying what may be actual hex head screws to add dimension and intrigue. Whether they are real or not (the heads are not all aligned perfectly, leading to the speculation that they are real and tightened into the case side) they look unique and add a touch of cool modernity to this watch. 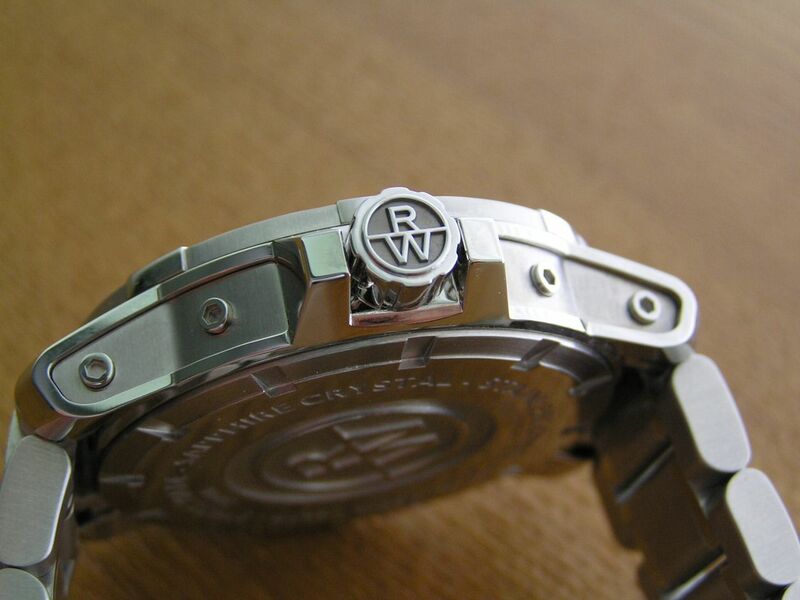 The caseback is screwdown, brushed and polished stainless steel and is deeply embossed with the RW logo. 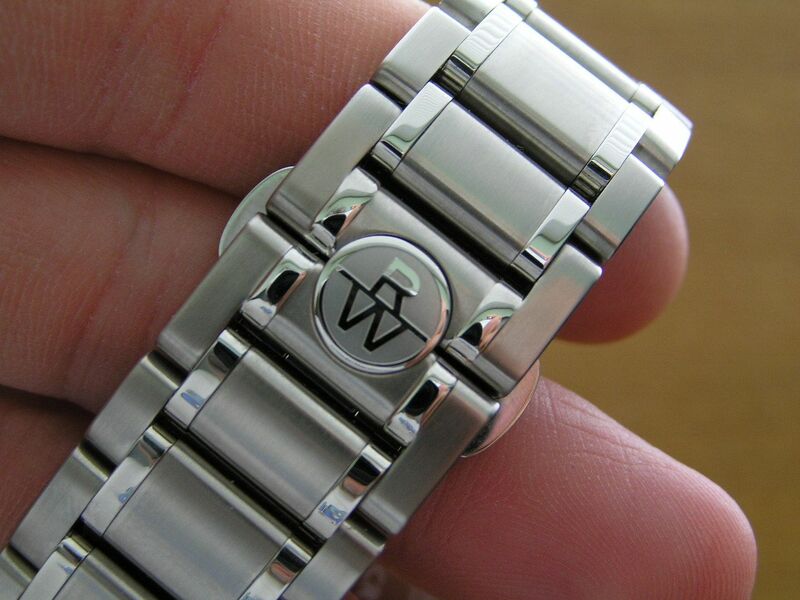 The watch is factory sealed for 200 meters of water resistance. 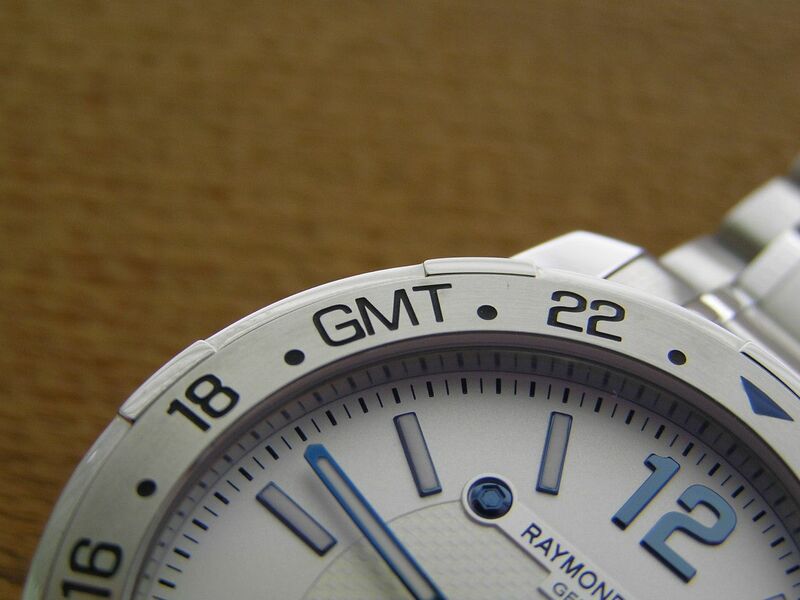 Inside this watch is the ETA 2893-2 automatic GMT movement. These movements come in four different grades and I have no idea how elaborate RW tweaks their movements or which base grade they start with, since the caseback is solid and not display and I do not want to crack the factory seal open to take a look. But I suspect it’s been massaged to some degree because it winds butter smooth (as smooth as my Omega Seamaster, which is the smoothest winding watch I own), keeps great time (+7 seconds over 24 hours) and winds silently. Power reserve is the expected 40+ hours. Congrats to RW for putting such a nice movement in this watch. This watch also has one of the smoothest second hand sweeps of any piece I own, it almost reminds me of a tuning fork movement because the sweep is so smooth. 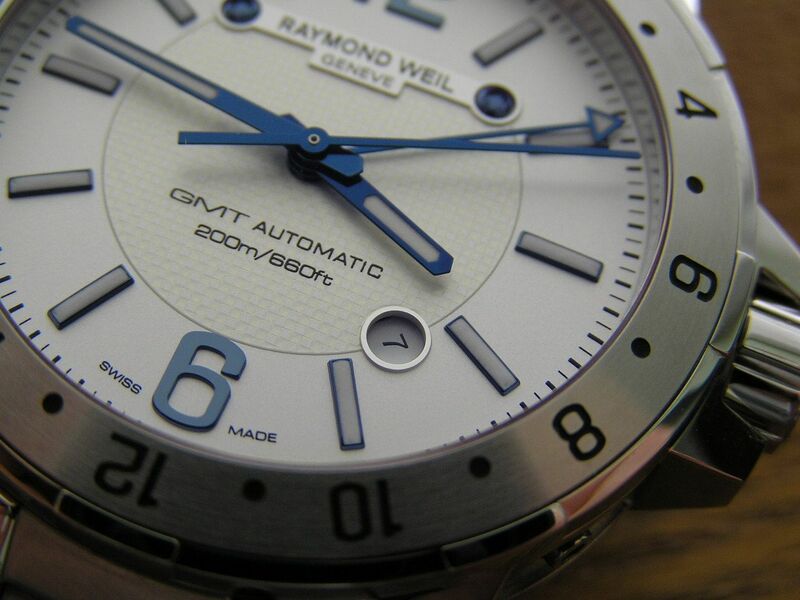 The GMT hand is adjusted via the first crown click position, the same position for quicksetting the date display. Turn one direction for the date adjustment, the other direction to adjust the GMT hand. One note, this is one of those GMT movements that adjusts the hand in 30-minute increments only, instead of a continuous adjustment sweep. 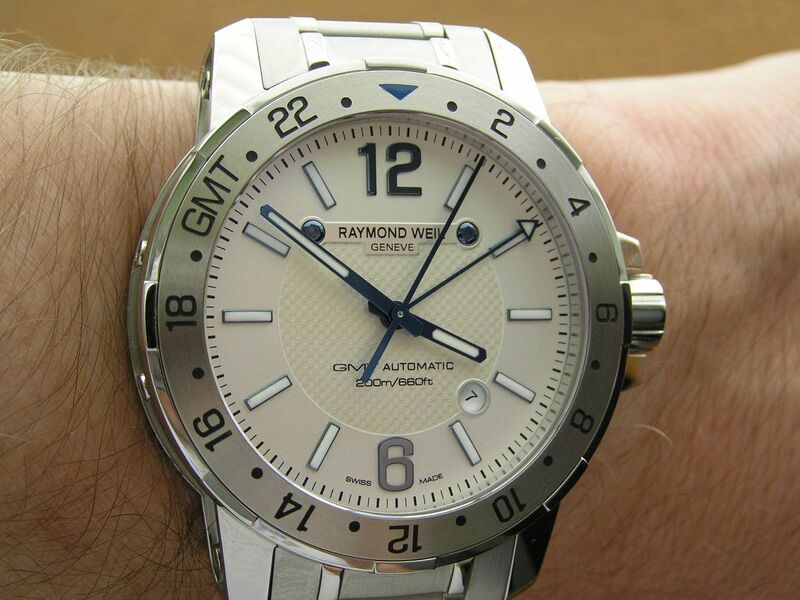 The 30-minute design makes it easier to guarantee a proper GMT alignment with the 24-hour scale, as the continuous adjustment GMT designs always seem to have some backlash in them and you think you have it set right, but then find out after the watch is running for a bit that the hand is slightly off. This can be irritating and I’ve grown to like the 30-minute increments the RW adjusts in. 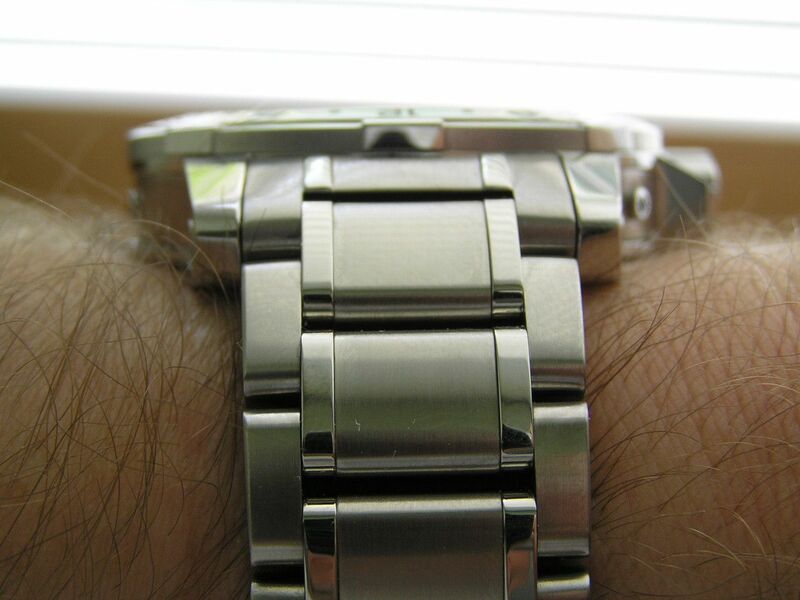 The GMT hand alignment on the RW is not perfect throughout a 24-hour period, but is very close most of the time and spot on others and it’s just the nature of GMT movements like this. So no real complaints here. The dial is a masterpiece on this watch, open, clean and supremely legible. Light silver with a mild guilloche-patterned center, quickset date with round window at 4:30, applied luminous markers and oversized arabics in blue at 12 and 6. 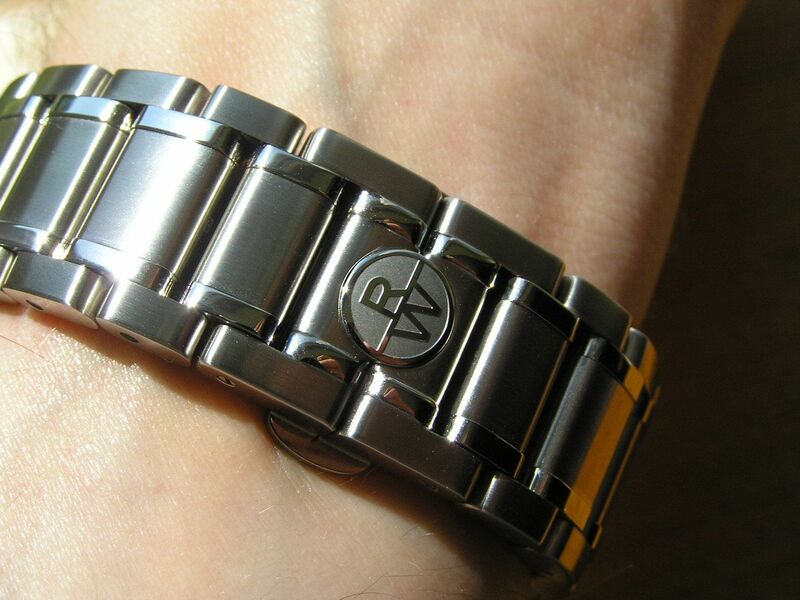 The somewhat large Raymond Weil logo plate with blue screws does not look as garish in person as it does on pictures, so don’t let it scare you. 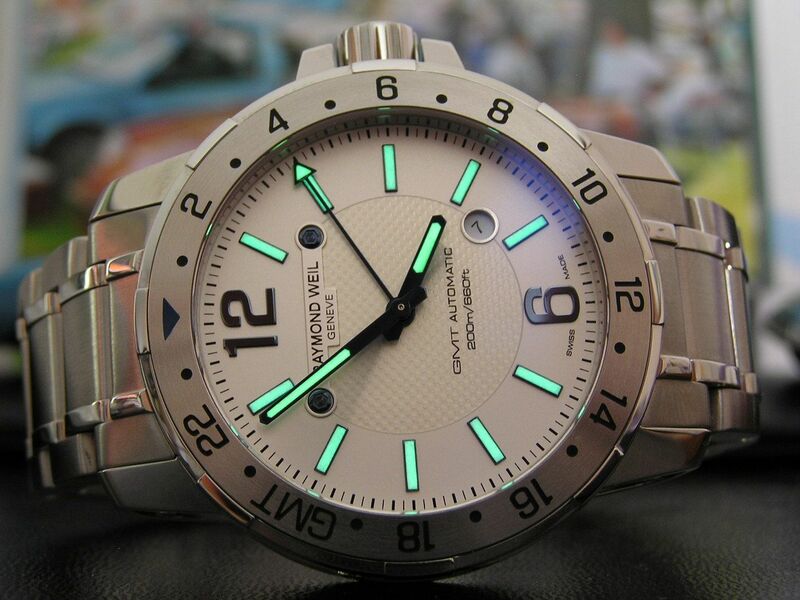 All four hands are a perfect shade of dark blue, with the seconds hand being all blue (no lume), the pointer tip of the GMT hand being lumed, and the hour and minute hands featuring inset lume. 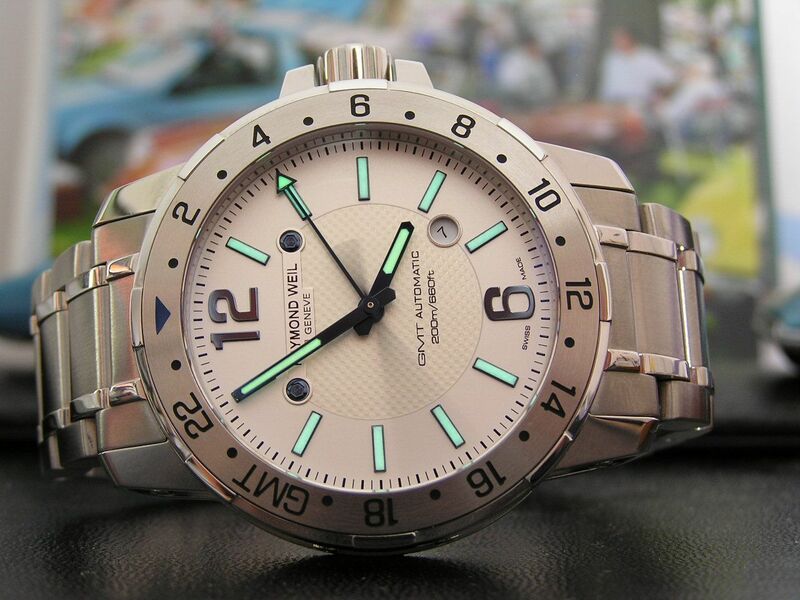 Lume quality is superb, bright and long-lasting. 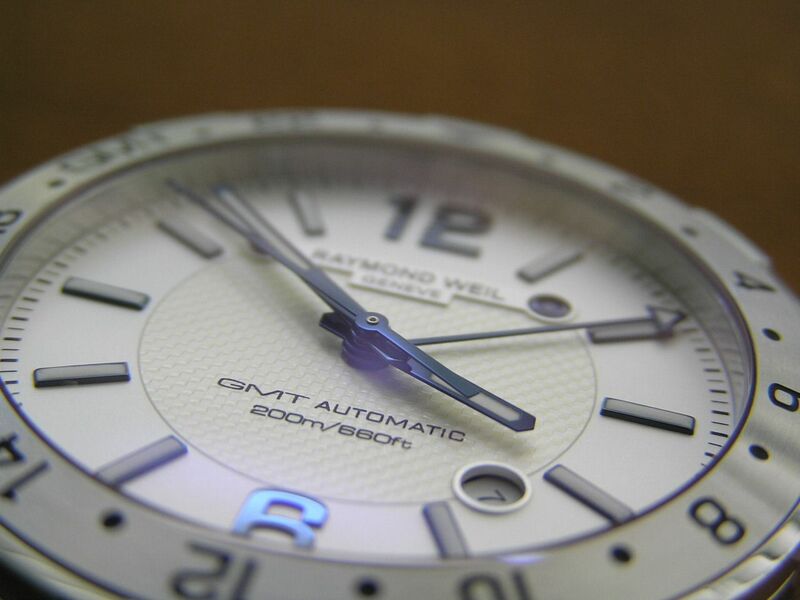 A flat sapphire crystal caps the dial and has amazing anti-reflective coating on it. It’s one of those crystals that has the anti-reflective coating applied (with no blue, purple or green tint) that makes the crystal disappear at certain angles or in certain lighting. At times, it truly looks like there is no crystal installed, the coating is that good. It’s a really cool effect and just adds to the enjoyment of this watch. 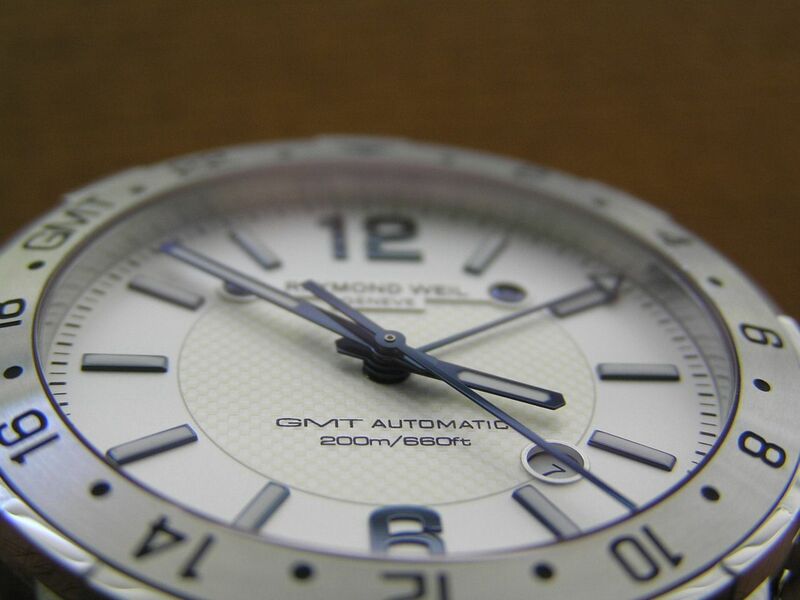 The 24 hour bezel is fixed and is also beautifully executed. 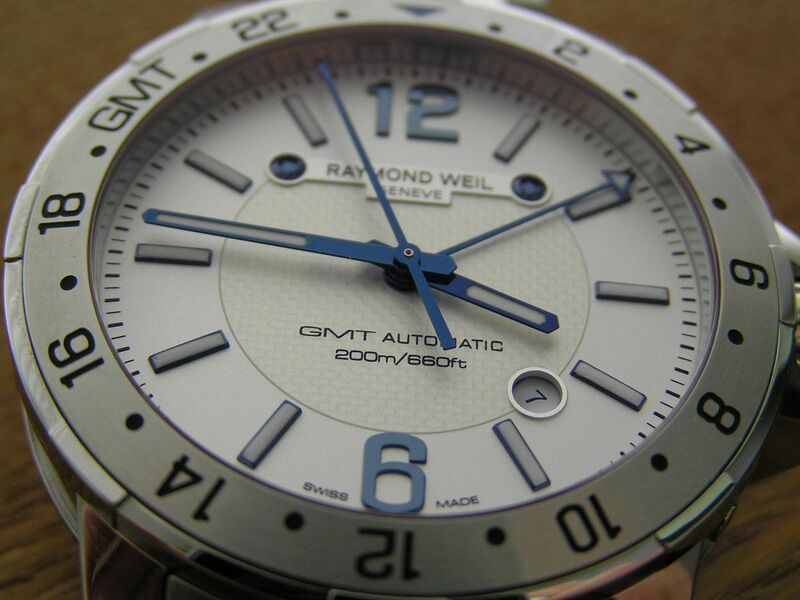 The triangle at 12 is a nice shade of blue to coordinate with the blue on the dial and RW even puts GMT lettering in black on the bezel at the 20 mark, which I think is a nifty touch. The bracelet is another gem of a feature on this watch and something that really gives it that expensive look and feel. 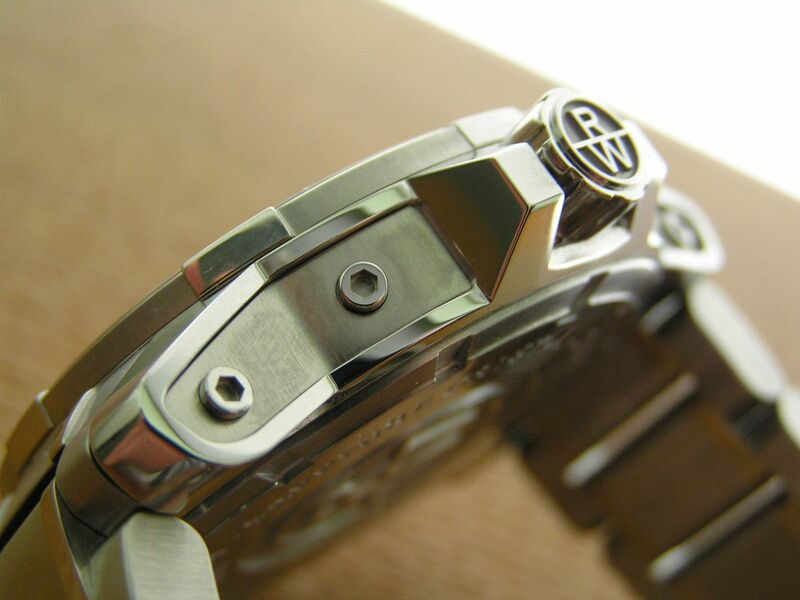 The bracelet is 22mm at the lugs and tapers to 20.7mm at the center of its signed butterfly clasp. Each link is 5mm thick and consists of solid stainless steel in five separate pieces, lovingly brushed and polished. 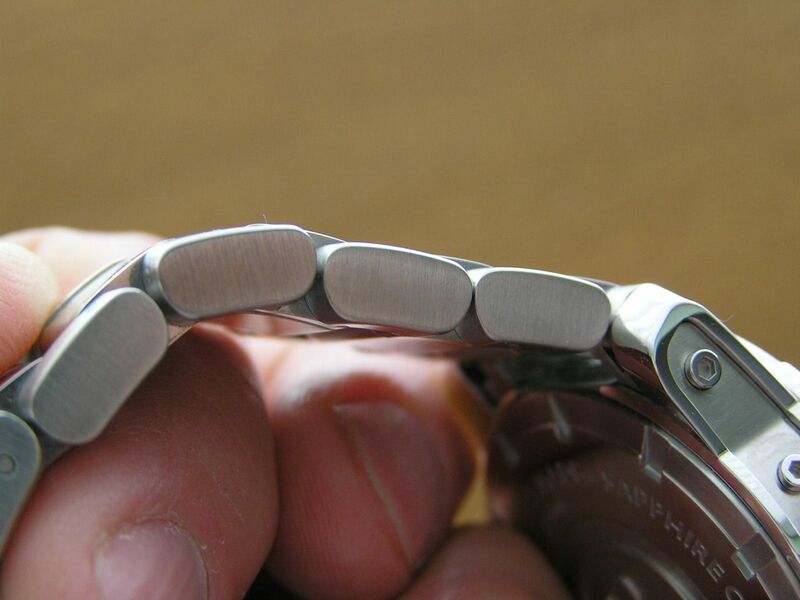 Solid end links and a signed and polished machined butterfly deployant complete the bracelet, with a round RW tab that overlaps the other side of the bracelet when closed. 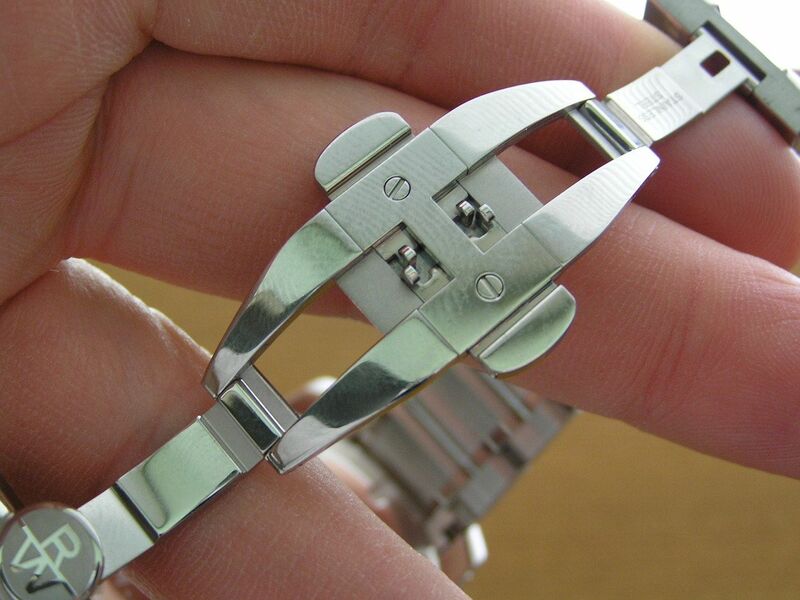 The bracelet also includes half links to help assure a good fit. 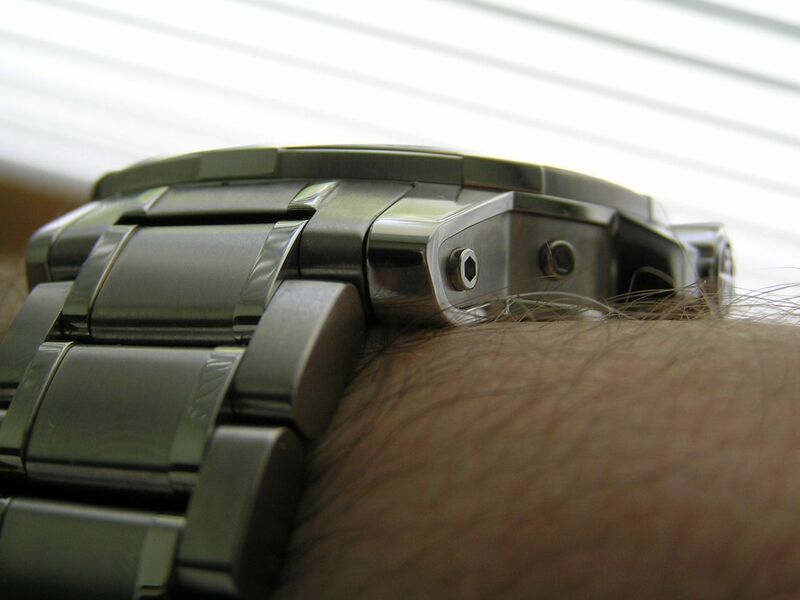 The links are secured by screw pins and adjustment was a breeze, with a smooth feel to the screw pins. I’ve had too many cheap bracelets with screw pins that don’t fit well, strip out, or that had tons of black gunk on them when removed, so these screw pins were a pleasure to work with. The bracelet is quite comfortable despite its heft and looks magnificent. Presentation is in keeping with the rest of the watch. 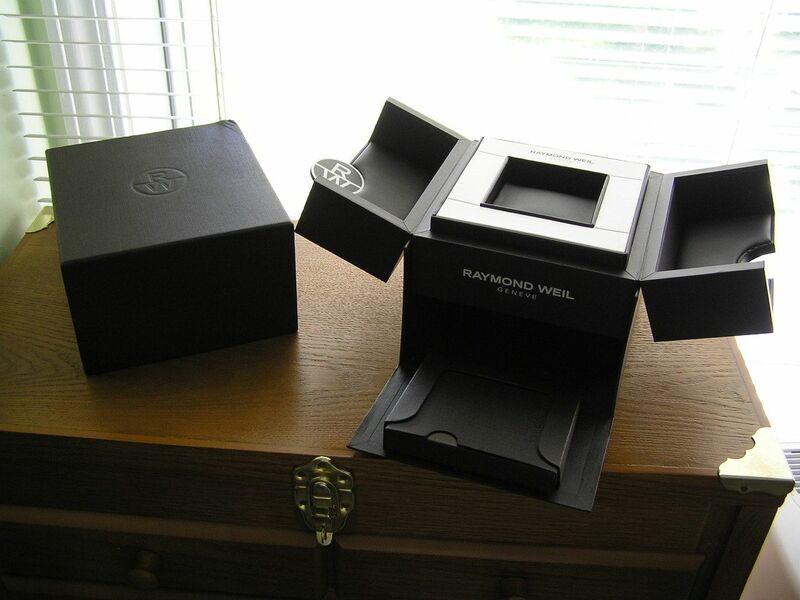 A large dark brown RW box that opens butterfly style with the watch inside, along with the instructions and warranty information on a separate flap. 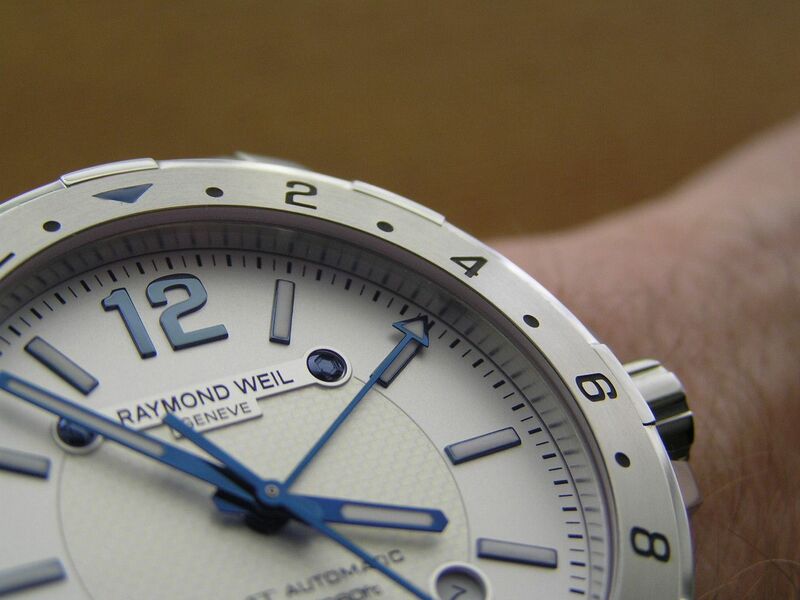 As my first official Raymond Weil watch, I am duly impressed with everything the Nabucco GMT has to offer. Its fit, finish, quality and details are truly first-rate and at the street prices these go for, represent an astounding deal in a watch that will impress both the WIS and the non-WIS alike. Bravo! 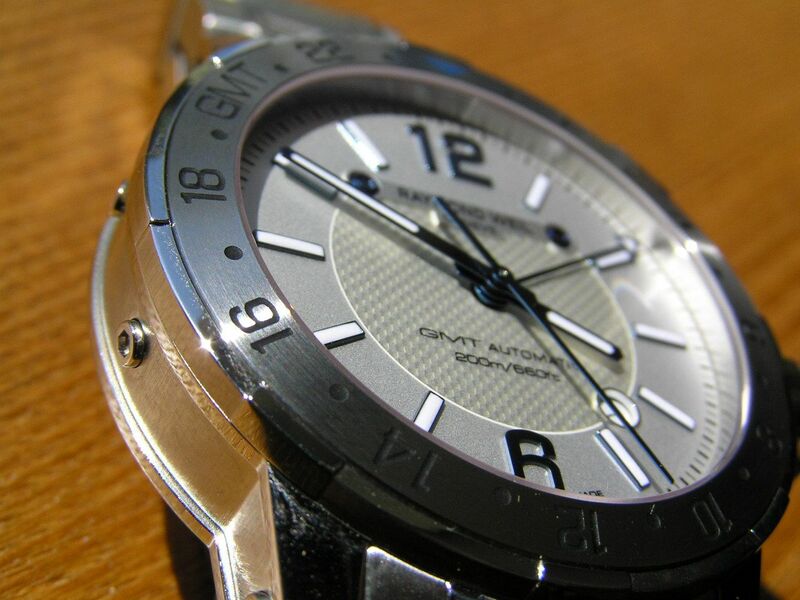 Verdict: perfect in almost every respect, the Nabucco GMT is a gem of a watch plain and simple. In a word, sublime! Nice review! 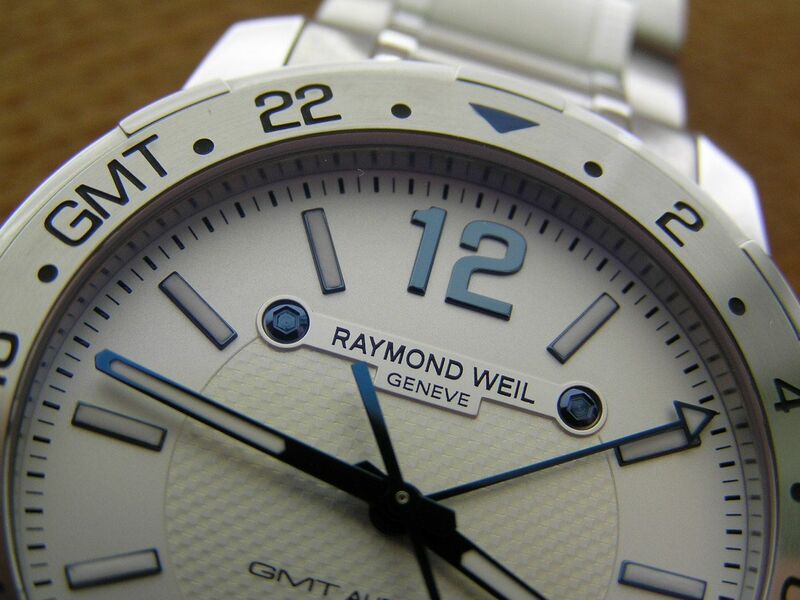 Could you review the new Raymond Weil Maestro? 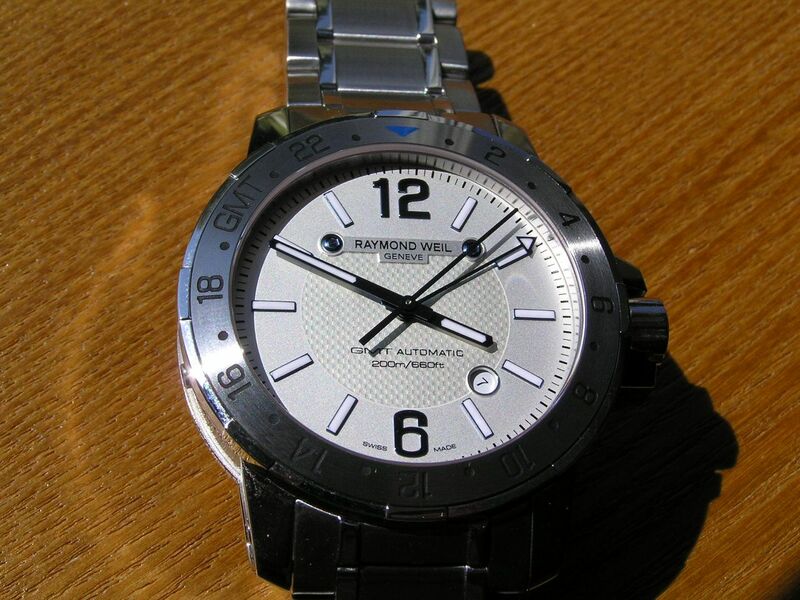 White (or silver dial, not sure) with black roman numerals and blue hands, leather strap. You would do me a big favor, I don't really know much about watches much less about this specific brand, but really like it though and could be my first good watch that I buy, and want it to last me forever! THanks! Did you buy this locally or online? The price you got is fantastic, and a year later still well cheaper than I'm seeing online. What's the secret? I was lucky to get a good online deal with a coupon. No secret, you just have to shop around and sometimes you'll score a nice deal.